Basseterre, St. Kitts – Although climate change has its disadvantages, it can also be used as an opportunity for Small Island Developing States (SIDS), especially St. Kitts and Nevis in a number of ways, said representatives from the Ministry of Tourism, Assistant Secretary Diannille Taylor-Williams and Sustainable Tourism Coordinator Annette Esquibel. 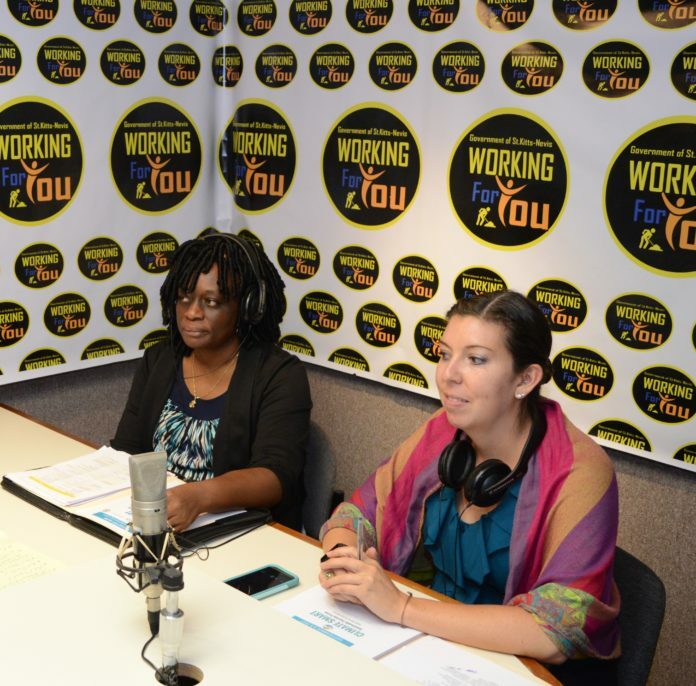 The duo appeared on the Aug. 23 edition of “Working for You” to engage in discussions surrounding the Climate Smart Sustainable Tourism Forum to be held in St. Kitts Sept. 6-8, organized by the St. Kitts Ministry of Tourism, the St. Kitts Sustainable Destination Council, the Caribbean Tourism Organization (CTO) and Sustainable Travel International. Adding to the brilliant idea of coral regeneration, Taylor-Williams shared similar sentiments, noting that it can indeed prove beneficial to the federation. Taylor-Williams shed more light on the Sargassum of seaweed, noting that it can be used as fertilizer. She said that St. Kitts and Nevis has had regional studies done, and she also highlighted a local meeting that was held on the same topic. She said that the students recognized that it was an opportunity for St. Kitts and Nevis to replicate and take it to the bigger farms as it is available in abundance. She added that it creates an ease on the fishermen because the Sargassum of seaweed is a nuisance to them.